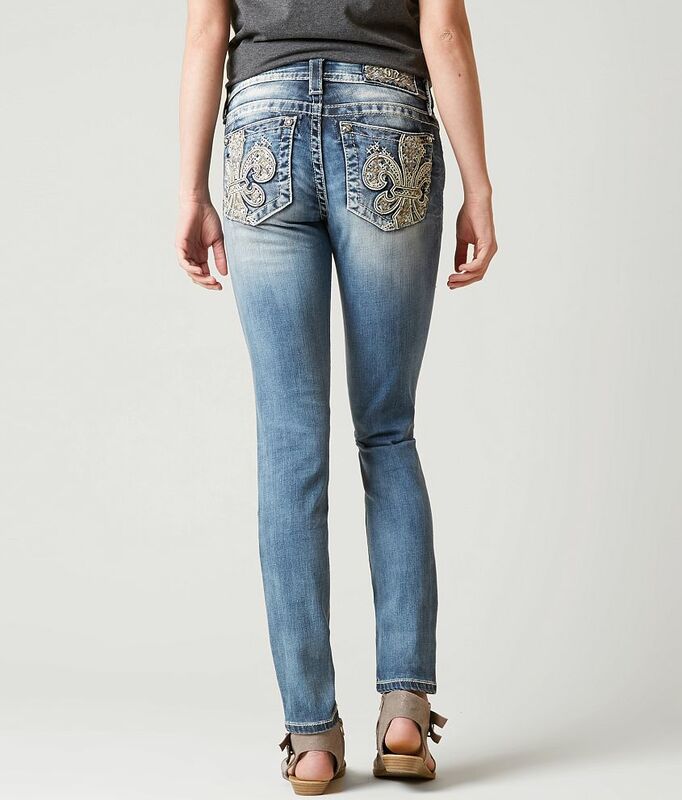 Classic jeans from miss me, mid-rise zip fly stretch jeans. 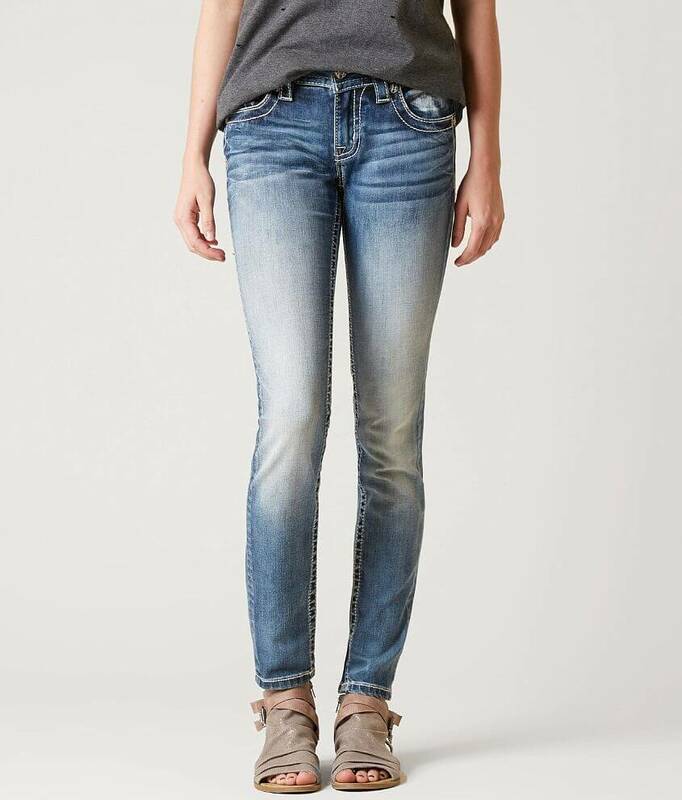 Slim through the hip and thigh. 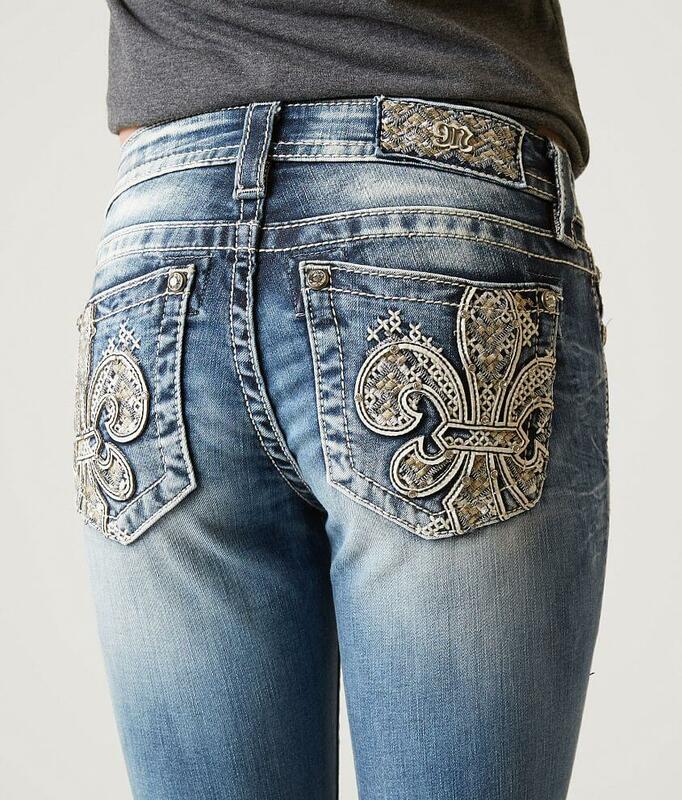 Details of Rhinestones on metallic embroidered vack pockets. 85% Cotton, 13% Polyester, 2% Elastane. Machine wash cold, separately, with like colors.